September began with changes to Freeview channel numbers and frequency changes for some channels. At the time of the retune, placeholders for several new services were added so that viewers would have the channels in their channel list in time for their launch during the Autumn. New channels include TruTV+1, CBS Action, POP+1 and an as yet undisclosed service on channel 136 for Freeview HD owners in range of the signal that carries BBC Four in HD. Community Channel on channel 63 once again had its broadcast hours extended. New broadcasting hours: 0300-1500 and 1900-0000. Technical Notes: Dual transmission of Quest+1 on channel 38 and 791 finished, plus the Bauer Media radio stations on 712-717, completing the multiplex change. Viewers who did not retune on the 3rd September will see the retune messages on channel 38, 712, 713, 714 and 717. Multiple monitoring of Freeview transmissions failed to log Ch.174 on 16/09/2014, it has been confirmed that the service was on air 17/09/2014. COM6/ArqB now has around 2Mbps of empty capacity to allow a new channel to launch. CBS Action is due to launch on the multiplex on 1 October. (channels 57 and 125 also now available in parts of Sheffield). Streamed channel service now launched. A simplified version of the 3rd September changes can be found at FAQ: Freeview Channel Changes. Information message for viewers who have retuned. By 3pm on Wednesday 1st October, channels 71, 72, HD 73, HD 74, 80, 81, 82, 83, HD 84, 85 will be empty. Empty channels will be removed the next time you retune. CBS Action moves from channel 90 to 70 on the same day and launches. CBS Action placeholder for new service launching 1st October now on channel 90, to move to channel 70 at launch. TruTV+1 - placeholder for new service launching 1st October 2014 on channel 69. * Launch date to be announced. About “on/after” or “no earlier than” dates: This is the earliest date or timeframe that a local TV channel can launch regular programming once Ofcom has officially granted a licence. The local TV operator will usually announce a go-live date once a licence is granted. In some cases, local TV operators have had their Ofcom licence reissued with a new commencement date, where there has been a valid business or operational reason. Local TV channels may broadcast tests or barkers in advance of their licence commencement date. SHEFFIELD: The local TV multiplex containing Sheffield Live! TV on channel 8, POP on channel 125 and QVC Extra on channel 57 is now live for viewers within range of the Sheffield TV transmitter at Tapton Hill (also known as Crosspool). 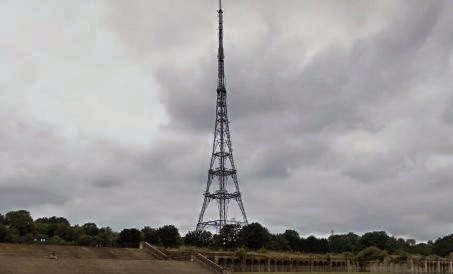 LIVERPOOL: Local TV multiplex transmissions have now commenced from the Storeton transmitter. This means that the Liverpool local TV service has the following official coverage area, although reception is being reported along the North Wales coast to Rhyl.